Browse the sections below to find out more about the wide range of postgraduate modules available at the Bartlett Development Planning Unit. This module aims to provide students with the building blocks to construct a theoretical and critical understanding of urban design. Fundamental for a renewed approach to undertaking an urban project, this module explores continental philosophy and post-structuralist critical thinking with the objective to develop and deepen students’ understanding of the complex, dynamic and transformative processes that form and transform urban areas through both formal top-down and informal bottom-up practices of individuals and communities. The multiplicity of urban morphologies and social-political tensions that shape current urbanisation are reviewed through the analysis of a series of case studies, with a particular focus on projects from the Global South. It debates and analyses the political economy and power dynamics at play, through the multiple lenses of social, cultural, economic, environmental and political drivers. In so doing, it allows students to a gain a deeper understanding of the ways in which such acts reinforce or change engrained spatial issues. In the second term, students put their learning into design action by tackling a live case study in London. Through the introduction of topical lenses of analysis and design research as an approach, students undertake field work and develop strategic design interventions in the production of a development brief, in partnership with local stakeholders. Recent student work can be found here. As we continue to observe and experience how conventional delivery systems have failed to address urban challenges, new forms of agency and action are needed. This module is concerned with highlighting how the collective power of many small changes can be harnessed to effect realistic and creative urban transformations. Through the analysis of theoretical readings, exercises and case studies, this module is designed to give students a structured understanding of participatory interventions in urban development planning. It sets out to present different participatory concepts and processes, and engage students in critically reflecting on the issues, limitations, but also innovative potential they present. Students will learn about different participatory, tools and techniques and encouraged to think creatively about how public leadership and participation can be supported, mobilised and promoted to help improve democratic decision-making in the design of the built environment. Throughout the term, students will also be tackling key questions around the role of design, knowledge production and the role of the expert practitioner in delivering a collective urban future that is just and sustainable. This is a practice-based module delivered through studio teaching that involves collaborative and cooperative learning. It provides an opportunity for students to put into practice their theoretical and methodological learning as they tackle a sequence of projects through a learning-by-doing approach. A studio based case study that is studied remotely; this may involve investigating one or two study areas using an analytical framework to guide students through the research design process. Find out more about the Urban Intervention Studio. A short three day BUDD camp takes students to a European city to discover and tackle how social-cultural tensions can manifest themselves in urban space, and how in turn, urban space impacts these social-spatial outcomes. Find out more about BUDD camp. Later in the third term, students undertake a longer field expedition where they get the opportunity to work with local organisations and community groups who are delivering bottom-up processes of urban change. Find out more about our fieldwork. For more information see the fieldwork page. Cities everywhere are being created without any architects or planners involved. An often quoted statistics is how almost 1 billion people live in informal settlements. Initiatives are trying to manage and control this informality in cities. With these unique challenges in mind, this module questions the definition of urbanism towards one that is social in nature and asks, what and for whom urbanism is for? Through case study analysis this module presents how informal urban territories are imagined and constituted and serves as an opportunity to interrogate the role of design, architecture and urbanism in such contested urban settings. It encourages students to critically appraise this radical form of urban design and building of cities and seeks to underscore what could be learnt from such phenomena. The module is delivered in a studio based format, where students are tasks with delivering their own holistic and strategic urban design intervention to tackle a particular case study. This module builds on the Critical Urbanism Studio of BENVGBU8 approach for students who want to gain more experience in investigative urban analysis and development of design strategies. It focuses on phenomenological investigation as a different way of seeing people and place to engage with the multiplicity of contested developing arenas. Learning evolves around a real-life contemporary urban case study developed in collaboration with a partner in the Global South but worked on remotely in the studio. As students work on the case study, they are encouraged to use this as a platform to reason with the aesthetics of informality and experiment with the design process as act of critique and resistance that puts the communities at the centre of the place. This module reflects on the evolution of ideas and practices in the field of housing policies, in their direct connection with the wider context of development theories and strategies. It explores the changes in the role of different stakeholders, in the understanding of the multiple articulations of housing and urbanism and in the meaning and tools of scaling-up in housing provision. It pays particular attention to the convergence of debates on informality and housing as central to a major paradigmatic shift at conceptual and policy levels which will affect the direction of housing strategies far beyond just questions of informal housing. This module focuses on how interventions in housing can build on a complexity of sectoral inputs to produce multiple pro-poor development outcomes. Participants are exposed to a range of approaches to housing and settlement upgrading policy and practice. The roles of the state, market and civil society in housing and settlement upgrading are examined in different national contexts. The importance of land, finance, infrastructure, organisational capacity and governance are emphasised as well as the longer-term sustainability of different approaches. Participants have an opportunity to work in small groups to track and analyse the historical development and implementation of housing policy within a specific country. They are also expected to develop a personal case study that demonstrates how the interaction between personal and political contexts results in differing housing outcomes. This module provides a detailed examination and structured understanding of Disaster Studies and Disaster Risk Reduction, with specific reference to urban areas. It engages with extreme condition of disasters and their social, physical and political implications on urban areas, the built environment and planning disciplines. Drawing from current research on the urban turn in Disaster Studies and the entanglements between Disaster Risk Reduction, Development processes and Urban Poverty, the module offers an introduction to the debate on urban resilience and its policy implications. This Module provides a detailed and critical examination of post-disaster recovery practices and policies, with a particular focus on its institutional arrangements and socio-spatial implications. Drawing from transnational research experiences and connections with practitioners, humanitarian workers and development managers, the module reflects on the different challenges posed when working in a post disaster environment and implementing plans, projects and interventions. Introduces participants to the historical evolution of the theories and ideas underpinning development interventions. The aim of the module is to provide students with a clear understanding of development theories and the historical circumstances in which they were produced, as well as their strategic implications. Students are assessed by unseen written exam and assignment. Explores the common tools and approaches employed in development management and provides students with a clear understanding of their theoretical underpinnings, uses and critiques. Students are assessed by unseen written exam. Development in Practice is a two-term composite module. This module is designed to expose students to the tools and instruments of planned intervention in a range of development fields. It also aims to develop participants’ analytical and evaluative capacity, whilst strengthening their professional and team-working skills. It consists of a London-based team exercise, two workshops in the first term, an overseas field trip in the third term, and a series of skills development seminars. 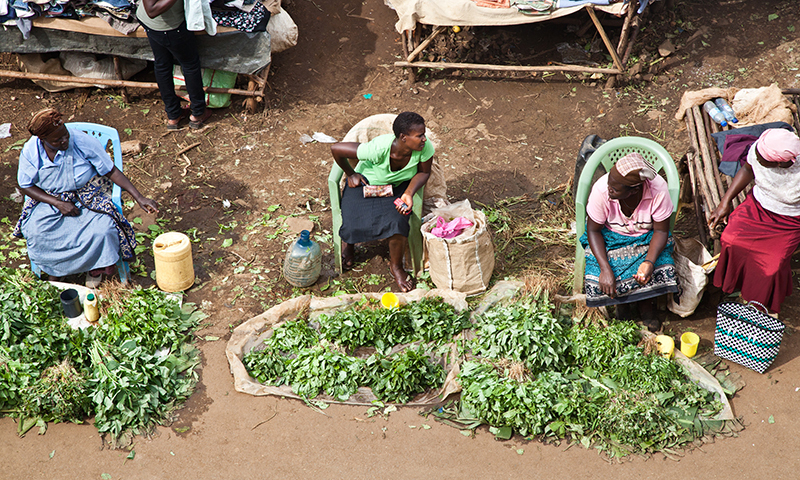 Society and Market: Private Agency for Development explores the theoretical base and implications for development planning and practice of market- and civil society-led approaches to development. It focuses on conceptions of ‘bottom-of-the-pyramid’, livelihoods and ‘making markets work for the poor’ (M4P) approaches that permeate contemporary development policy and practice. Students are assessed with a written assignment. Neo-Structuralism and the Developmental State considers differing conceptions of the state as a primary agent in social and economic development processes by examining case studies from Africa, Asia, Latin America and the Caribbean. This module also seeks to familiarise the student with the opportunities and constraints posed by the global integrated process of production to planning for independent styles of development. Students are assessed with a written assignment. The Political Ecology of Environmental Change starts by providing a comprehensive review and critical analysis of the contemporary debate on development and environmental sustainability. Urban Environmental Planning and Management in Development surveys environmental problems in urban areas and their underlying causes and identifies who contributes most to such problems and who is most affected by them. Environment and Sustainable Development in Practice creates an opportunity for students to be exposed to a set of exciting real-life planned interventions in the field of urban and regional environmental planning and management (EPM). Adapting Cities to Climate Change in the Global South aims to provide participants with an understanding of the ways in which climate change will affect urban areas in low- and middle-income countries. Sustainable Infrastructure and Services in Development examines the different ways in which urbanisation is unfolding across the global South, with specific attention to the creation of infrastructures and the delivery of essential services. It explores the underlying causes of urban fragmentation, social exclusion and unsustainability. Urban Water and Sanitation, Planning and Politics focuses on the challenges of and opportunities for the adequate provision of urban water supply and sanitation. It examines innovative 'policy-driven' and 'needs-driven' approaches to the provision of the services, for and with the urban and peri-urban poor. Food and the City looks at urban food security with long-term sustainability and resilience in face of crisis and extreme weather. Urban and Peri-Urban Agriculture: Knowledge Systems in the Global South provides a critical examination of the historical evolution and the negative impact of industrial agriculture and its consequences for small holder urban and peri-urban food production and knowledge systems in the Global South. Social Policy and Citizenship looks at socially sensitive development, which has its roots in social sector and social welfare models that were developed during the last century. However, the evolution of social development policies since the Second World War has seen a change in emphasis from narrower conceptions of social sector development, to a broader, socially sensitive development approach, which attempts to place social transformation at the centre of development interventions across all sectors. Across the historical evolution of social policy, we see differences in terms of the scope and remit of ‘social’ policy vis-à-vis economic policy; the coverage in terms of women and men reached; the objectives, whether instrumental, concerned with human wellbeing, or focused on social rights; and the ways in which the policy process attempts to involve grassroots women and men, and their representatives, in the identification of policy goals. This implies conflicting interests and aspirations, as well as inequalities of power. As a result, putting people at the centre of development is highly problematic, and social development faces several challenges in achieving equitable and socially just development. This module provides the conceptual tools to critically assess current development programmes from a social perspective. In Part One, we explore the theoretical debates that link diverse social identities and power relations, and the competing models of equity and justice that attempt to reconcile them. We then examine the implications of these debates for Social Development as a ‘people-centred’ approach by considering how issues of diversity and power affect development interventions. With a focus on the urban context, we consider development practice and debates around concepts such as ‘participation’, ‘community’, ‘social capital’, and ‘local knowledge’ from a social diversity perspective. Part Two of the module deals with different understandings, definitions and ways of measuring poverty – a key policy concern of the current development agenda. We explore the relationship between inequality and poverty as interrelated but distinctive concerns, and use conceptual tools relating to diversity and power to critically assess specific anti-poverty responses and approaches to local as well as global inequalities. Drawing on the material studied in the other core modules, we recognise that such an approach must be based on the key ethical values of respecting and valuing diversity and of ensuring social inclusion in development interventions. A series of themed workshops to introduce key issues of development and governance that underpin the wider operational context of social development; A short off-campus immersion programme based around a problem-solving exercise intended to develop analytical, presentation, argumentation and negotiation skills and the ability to work in a team; A series of practical social development skills workshops intended to lay the foundation for and enhance professional practice, including the formulation of code of ethics; A series of preparatory fieldwork sessions addressing team building, the action research process, desktop research on the specific research context and a two-week fieldwork assignment. The module also provides participants with an understanding of how NGOs conceptualise well-being, and reviews their ways of dealing with the complex identities and the diversity of beneficiaries. We draw on concrete examples in order to analyse the implications of funding models, organisational structures, cultures and approaches on specific development interventions. the ways in which different NGOs and other development actors respond to a diversity of beneficiaries; how these actors build their concepts and theories of change and how they translate them into planned interventions; the role of partnerships between ‘northern’ and ‘southern’ NGOs, and the role of national, regional and global coalitions and networks; NGOs’ relationships with grassroots organisations and governments, exploring the differences between NGOs and social movements and their complex relationship, and; NGOs’ different operational roles in various contexts, including ‘failed’ states, humanitarian emergencies and new democracies. While there has been an increasing recognition of the need to open up spaces of direct participation for urban citizens to influence decision-making processes in recent years, there has also been increasing skepticism towards the potential of such spaces to bring about substantive change addressing the causes of urban injustices. Responding to these tensions, thinking and practice in the field of communication studies has reflected on the potential of different mediums of social mobilization and networking to avoid co-optation and open up more transformative spaces of participation. This module aims to engage critically with the relationship between communication and social change, exploring specific sets of practices and their potential in supporting groups in processes of recognition and mobilization in contexts of urban contestation. Students are encouraged to explore and define the meaning of ‘emancipatory communication practices’, by drawing on case studies and literature from the field of development communication as well as communication activism. The City and Its Relations: Context, Institutions and Actors in Urban Development Planning explores the economic, social and physical change of cities in the wider context of development and globalisation. Urban Development Policy, Planning and Management: Strategic Action in Theory and Practice explores strategic action in urban development policy, planning and management which recognises social justice in cities. 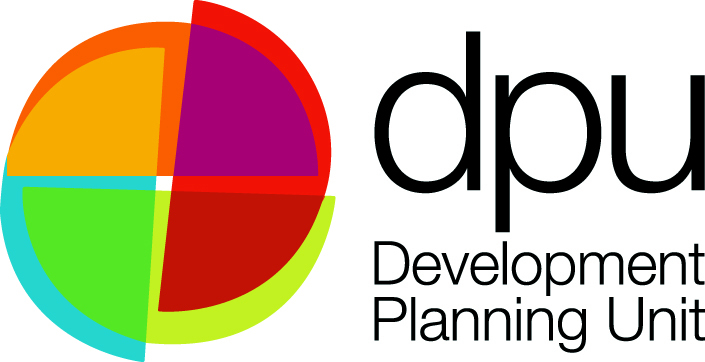 Practice in Urban Development Planning explores the challenges of urban governance in the context of selected urban areas in the South and the North, offering students real-life platforms to gain experience of urban development planning practice. Gender in Policy and Planning is an 18-session module over two terms examining gender relations in the socio-economic, political and environmental processes in the development of human settlements. Transport Equity and Urban Mobility focuses on the relationships between social identity, transport and planning in the context of urban development in the Global South. It critiques and explores the implications for transport planning and its interaction with other kinds of planning, and the relationships between the state, civil society and private sector in the provision of transport for more socially just cities. Managing the City Economy enables participants to develop a critical understanding of the key components and operating dynamics of the city economy, and the factors that underlie urban productivity. Practice in Urban Economic Development exposes students to contrasting practices of urban economic development to enable them to gain a better understanding of the process of managing local economic development in an urban context. Urbanisation and Development addresses the prospect for development in a context of international trade and investment, with the role of the state and effects of policies as key underlying factors. Cost Benefit Analysis: Theory and Practice covers the economic assessment of projects and policies using cost-benefit analysis techniques, furthermore the evaluation of trends and developments and other issues relevant to urban economic policies will be explored. An Introduction to Public Economics and Public Policy deals with identifying the most common market failures, the drivers of government failures and the interactions between economics and politics as constraints on the design of public policies.